The war against happiness has come to a most bitter end. In one of the most perfect pairings I've had the pleasure of hearing, death rock's sons of doom metal Alaric and Atriarch have joined forces to wipe any feeling of warmth and self-contentment from existence. I can't even begin to tell you how excited and impatient I've been to hear this split, especially after declaring Alaric's self-titled album my absolute favorite of 2011, and when paired with Atriarch, whose Asunder-school of doom metal approach to Christian Death was the perfect stylistic complement to Alaric's doom-influenced post-punk jams, things could only get gloomier. Starting off the split, Alaric lays down three emotionally draining slabs of their absolutely gloomiest material yet. 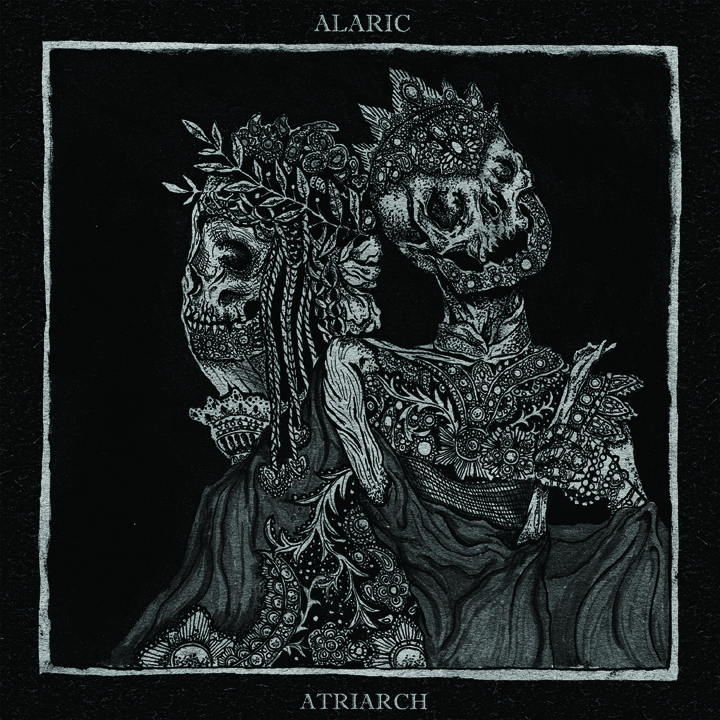 Embracing their doom metal side further, we see Alaric slowing down even further compared to their full-length, though rather than taking the heavy route, Alaric chooses to imbue more atmosphere than bottom-heaviness. Guitarist Russ Kent's guitar tone sounds old and ragged, matching vocalist Shane's equally as gruff, mournful voice, which adds volumes to the unique sound Alaric had successfully crafted with their full-length. Even the drums, whose dull thud mimics a slow, shallow heartbeat, sound absolutely despondent. Perhaps Alaric have become more confident after the almost unanimous praise of their previous album, because there is quite a bit of branching out here. Take, for example, the almost poppy, early U2-like vocal pattern performed during the "chorus" section of "Memory Assault" or the droning, clean voice found in "Weep," which is currently top contender for "most miserable (and favorite) song of the year." It's experimenting like this, moving closer to their roots while still maintaining their slow, unique sound which keeps drawing me back to these new tracks. Alaric are still holding their spot as my favorite new band and, if the movement found within these new songs is any indicator to their future, they're bound to stay there. 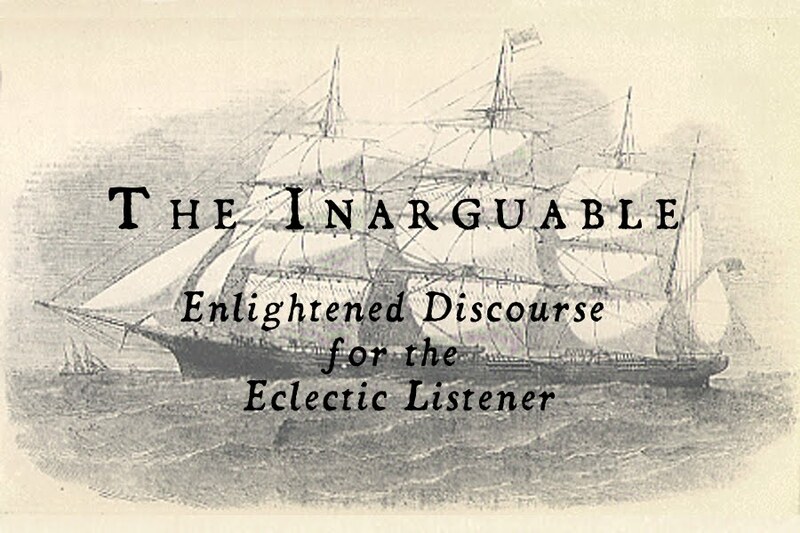 I believe I likened Alaric's previous work to "night music for aging punks." Well, these three songs are the hazy morning after, looking at oneself in the mirror in disgust and self-pity; a constant five o'clock shadow and ever deepening wrinkles. It's glorious. Ever the wild card, Atriarch's two tracks definitely surprised me. After the damn near funeral pace of Forever the End, I definitely wasn't expecting them to pick up the pace for the faster direction seen in "Oblivion" and "Offerings." 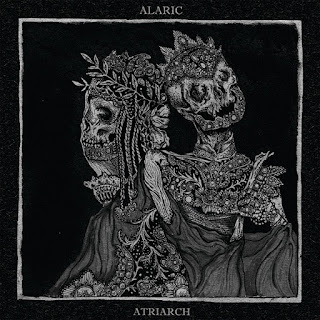 Moving in almost the exact opposite of splitmates Alaric, Atriarch almost entirely drop their doom metal sound (save the lengthy introduction to "Offerings") to explore more conservative deathrock ("Oblivion"), and and some rather blistering black metal ("Offerings"). Yes, black metal. I can't even begin to describe my delighted confusion when Blackhawk's extended, droning solo guitar introduction suddenly gave way to blast beats beneath his decaying four-track guitar tone. Is this the same band who refused to exceed sixty beats per minute a year ago? Certainly so, and it seems that this new, blackened direction is much kinder to vocalist Lenny's higher pitched harsh vocals, which are at their absolute prime on these new tracks. Though I was rather fond of Forever the End's mammoth, ancient doom metal, I can't help but enjoy Atriarch's ability to shapeshift while still maintaining a cohesive, indicative sound. Expect a new album from these guys on Profound Lore Records later this year - I wonder how their sound might manifest next time. If you're planning on listening to this one, clear your schedule or make some time to browse through /r/awww, because you're going to need it. Alaric and Atriarch aren't here to make you happy, quite the contrary, so keep the Kleenex and whiskey within arm's reach. Happiness is dead, long live gloom. Available from 20 Buck Spin on May 1st. Thanks for the review,dug it...will be checking this record out.